Notes: Designed by Rim Chung. RS2 stands for Rim's Semblance #2. 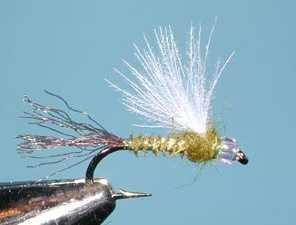 It was designed originally for baetis and midges on the South Platte. 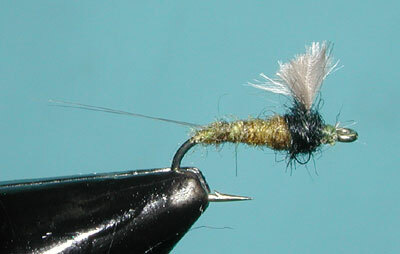 The body of the fly hangs down into the surface file and the wing looks like an emerging midge. 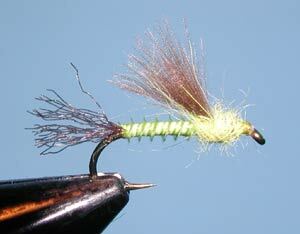 By trimming off the tails, a better midge pattern emerges... no pun intended. The RS2 is tied in many different colors: Pale Yellow, Olive, Black, and Gray being the most popular. 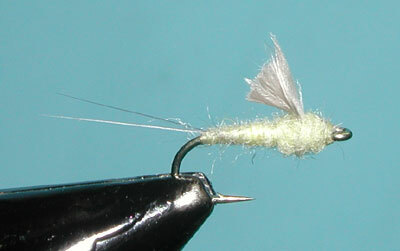 The Body Material can vary from the Beaver Dubbing that Rim originally choose, to Haretron, Superfine, and Quill Biots. 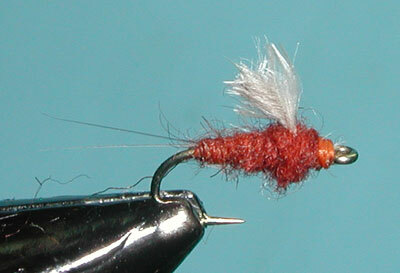 Rim Chung always ties the tail with Dun Microfibbets but Moose Hair is sometimes substituted. 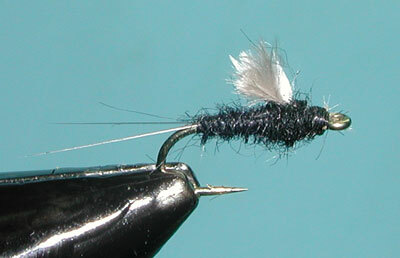 The Wing Material also varies...Rim used the Dark Dun webbing from the base of Dun Saddle Hackles.. Many others prefer to use CDC, Antron, Hi Vis, or foam. 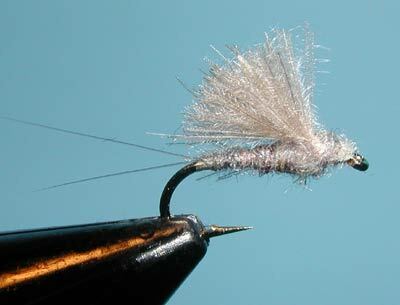 The wing is usually trimmed at an upward slant where the length of the wing is about the same as the thorax. 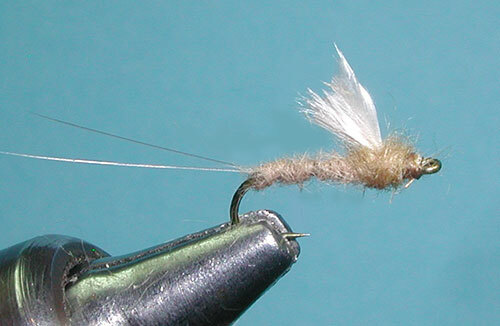 When CDC is used, the pattern is often referred to as a CDC Dun. 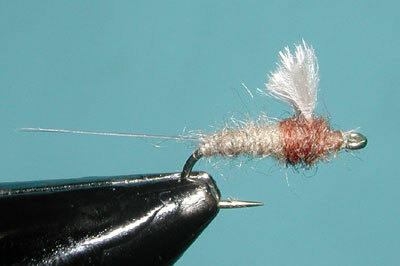 If Antron or Z-lon fibers are substituted for the tailing material, the pattern is often designated as an emerger, ie CDC Emerger. What makes the RS2 unique is not the materials used but the way they are tied forming a simple pattern that can be modified to many types of hatches, particularly with Baetis.